​Mitch completed six years of university training in 1986 and in 1988 finished two years of formal supervision in order to register as a Clinical Psychologist. Since that time he has provided therapy and consultation to people with a wide variety of issues such as anxiety, stress, depression, trauma, eating, relationship, sports performance, coaching and alcohol/substance abuse problems. Mitch has worked in public and private health services such as Bentley Health Service, Swan Health Service, Hollywood Private Hospital and St John of God Hospital, Subiaco . He also has additional training and experience in organisational, management and sport psychology. His therapy and coaching work is aimed at helping people make positive and value directed changes in their life. Mitch has completed extensive post graduate training in specialised Cognitive-Behaviour Therapy models, such as Schema Focused Therapy and Acceptance and Commitment Therapy (ACT). He has worked intensively using an ACT model since 2003 and completed advanced level training with international experts in the field. His therapy, training and supervision work have been peer reviewed by senior colleagues of the Association for Contextual Behavioural Science (ACBS) to be officially recognised as an ACT trainer (one of five people in Australia). Mitch is regularly invited to facilitate ACT workshops for colleagues and students. He has also facilitated ACT therapy groups and uses the model in individual and couple therapy. Mitch is a university Clinical Psychology program Supervisor and provides training and supervision to students and colleagues on a weekly basis. He is a Member of the College of Clinical Psychologists and a registered Clinical Psychologist under the Medicare and private health insurance systems. This allows clients to receive rebates from their consultations. 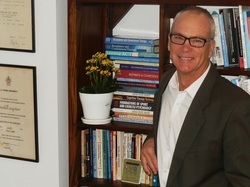 Mitch has conducted over 35,000 consultations during his 33 years of practice. Mitch also offers postgraduate supervision, consultation and training to universities, psychology and counselling agencies.